Rome (Italy). 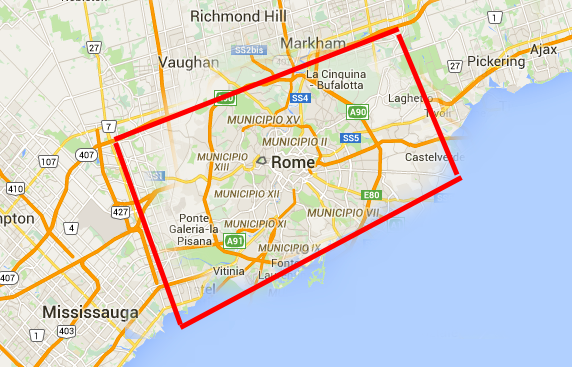 The inner part of the city within the GRA (Rome’s circular motorway) fits nicely into Toronto. 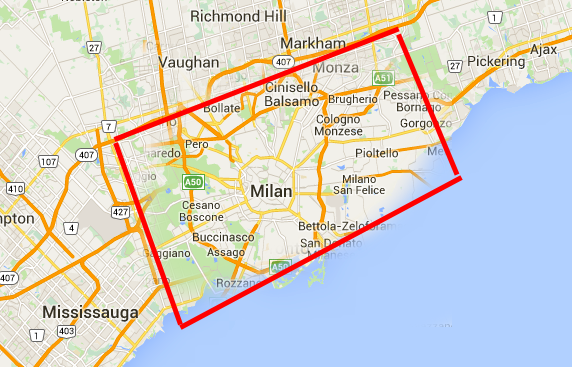 Milan (Italy) and a large part of its hinterland fits into Toronto. 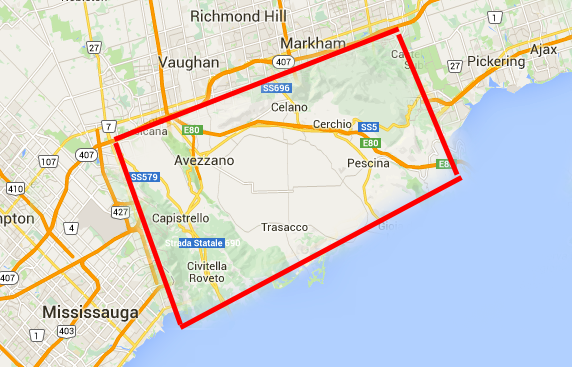 The Fucino region of Italy is almost as big as Toronto. This plateau used to be a lake until it was drained in 1875. 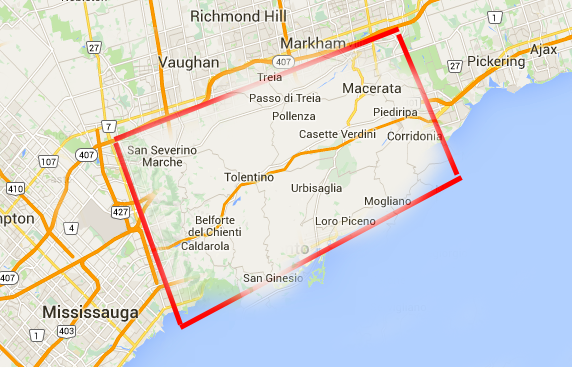 Toronto is as big as a large part of the province of Macerata (Italy). 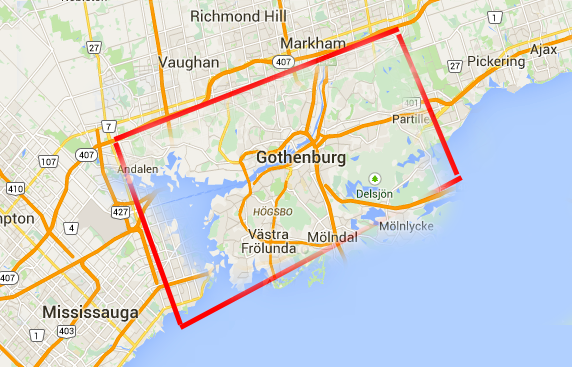 Götheborg (Sweden) is a very nice city with its river’s estuary and archipelago, but can’t compare in size to Toronto. 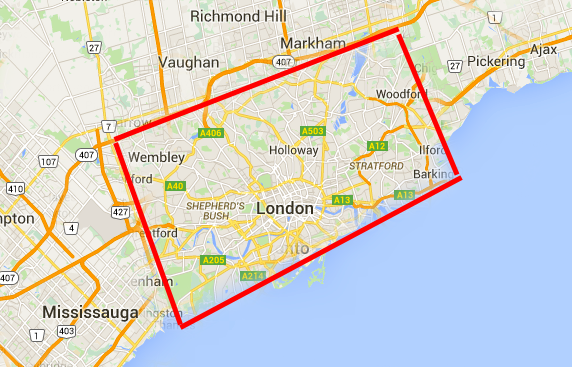 Toronto and Zurich (CH) often figure among the top 10 cities in the world for their quality of life. Surely not for their size, though. 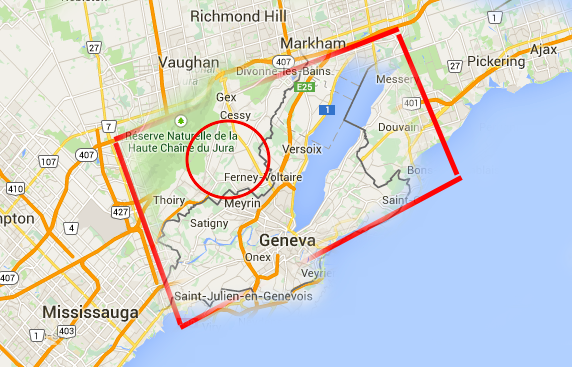 Not only Toronto is way larger than Geneva (CH), but even the LHC accelerator (red circle) could fit nicely inside the Canadian city! 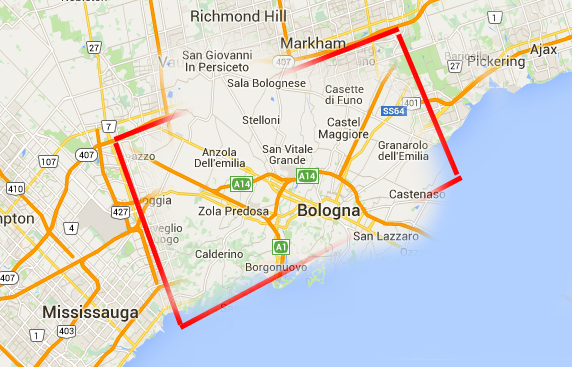 While the city of Bologna is very compact in size, its surroundings spread over the countryside for quite a distance. 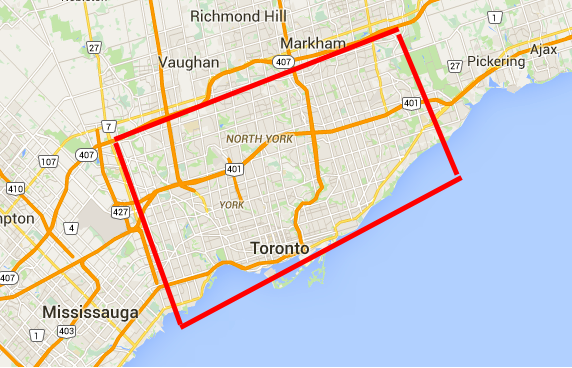 However, most of its northern province is well-contained inside Toronto.